We look forward to seeing you at the Sun 'n Fun Fly-in & Expo in Lakeland, Florida, April 2 – 7, 2019. 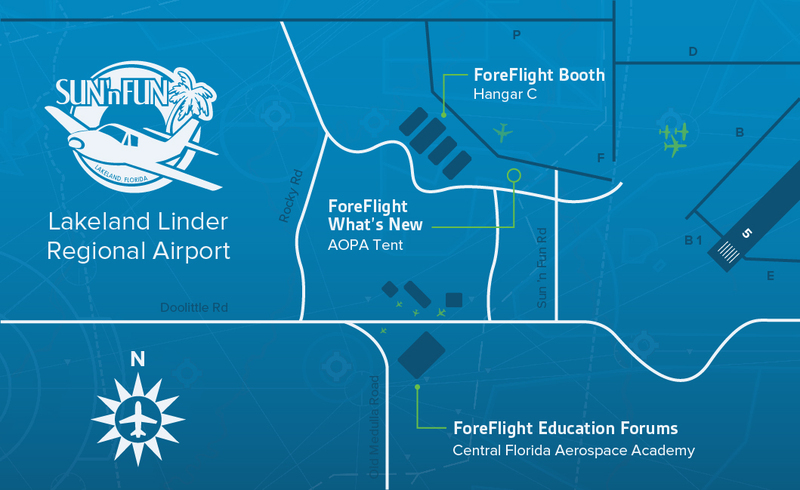 Check out one of our education forums, stop by the ForeFlight booth to see what's new, and participate in our aviation personality meet-n-greets! Visit us in booth C-092 for a personal tour of the latest ForeFlight features, including Airport 3D View and custom Content Packs. Plus, learn how to streamline your planning workflow with Flights view, discover how easy it is to File your flight plans with ForeFlight, and more! 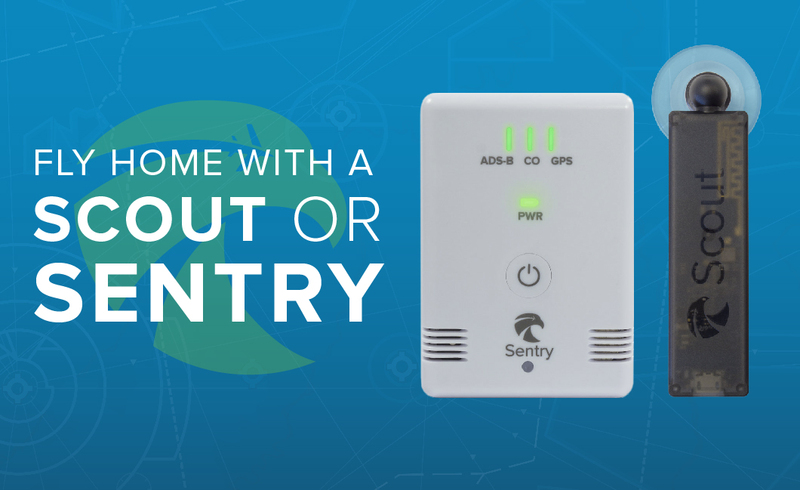 Purchase a Scout or Sentry in the ForeFlight booth and fly home with inflight traffic, weather, and more! Affordable dual-band ADS-B receivers with no hardware to assemble, no additional software to download, and nothing to configure. All forums listed here (unless noted) are in Room 1 of the Central Florida Aerospace Academy building (CFAA-1). ForeFlight Fundamentals and Power Users courses qualify for FAA WINGS credit. Times are local. This presentation covers the fundamentals of flying with ForeFlight. You will learn how to setup and navigate the ForeFlight app, find airport information, look at weather, build a route, brief and file a flight plan, and more. An overview of recently added features is also covered. As a new or existing customer, you can expect to walk away with ForeFlight know-how you can use on your next flight. This presentation is an advanced, scenario-based course on flying with ForeFlight. You will learn how to use the app to its fullest from planning to inflight navigation. This course is beyond beginner level and is geared towards pilots who have at least some working knowledge of the app. An overview of recently added features is also covered. This presentation is a must for all ForeFlight customers. Having a hard time keeping up with ForeFlight releases? Do you feel like you are missing out on app capabilities? You won’t want to miss this presentation that covers key features from the last few releases, including Checklist, Jeppesen integration, Logbook, Performance planning, and more. Phil is a member of the Pilot Support Team at ForeFlight. He started flying late in life after years of dreaming about it, and is an Instrument Rated Private Pilot. After 38 years in the energy industry as a licensed Petroleum Engineer and running oil & gas operations, he now gets to think about aviation every day at ForeFlight and work with pilots to enhance their flying experience. Ryan is Lead Product Designer at ForeFlight. He has been flying since he was seventeen and received his Private Pilot license from the John D. Odegard School of Aerospace Sciences at The University of North Dakota. 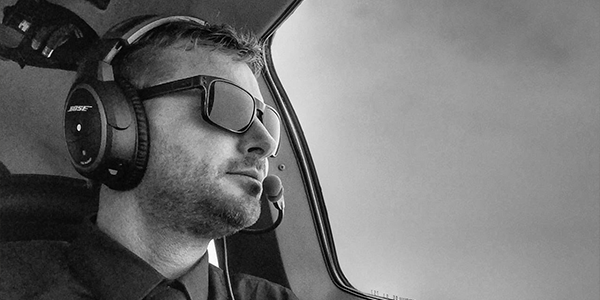 Ryan is passionate about building tools that make aviation safer, more affordable, and more enjoyable. Pilots and long time ForeFlight users, Steve Thorne, Jason Miller, and Steve Nazer, will buzz the ForeFlight booth to meet with fans. Flight enthusiast turned YouTube star, Steve's background in film and television gives him the "chops" to make each video a stunning visual experience for his viewers. 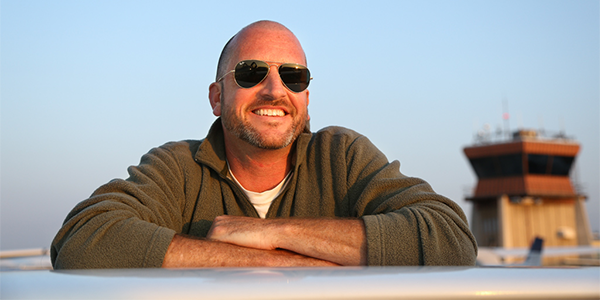 Jason is a Certified Flight Instrument Instructor with more than 18 years of aviation experience, and your host on the popular Finer Points – Aviation Podcast, one of the foremost aviation podcasts in the world. As a professional pilot, Steveo flies a TBM850 and Grand Caravan in the Bahamas. 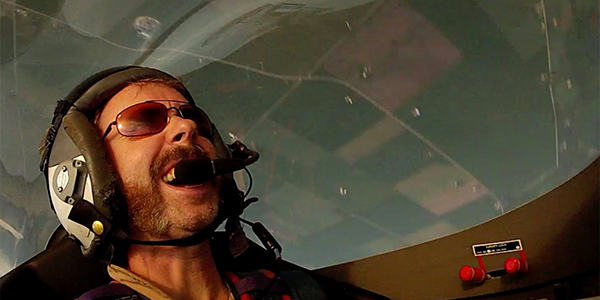 His entertaining Flight VLOGs showcase his passion for aviation and sense of adventure.